Ms. Nasser's Art Studio: Let it Glow: A Week of STEAM Exploration! 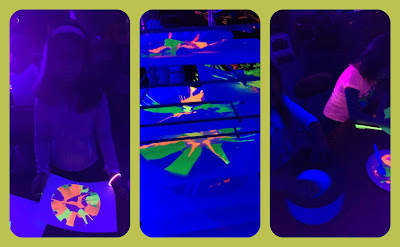 This past week at Fuller Meadow student's embarked on a week of glow in the dark STEAM art. It was an incredible week and our young artists were engaged and enthralled! and a special science connection. 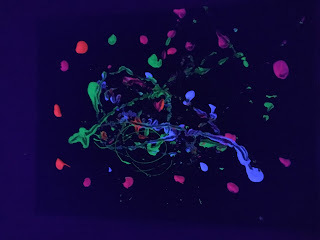 and loved watching their art glow! and how scientists are creating the ability to glow in things like plants and trees. Check out the video we watched to learn all about this incredible science. Following this Ted Ed talk, students got to work on their own glowing bioluminescent sea creatures. 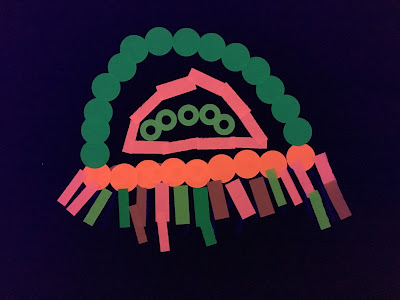 This lesson was inspired by artist Michelle Guieu. 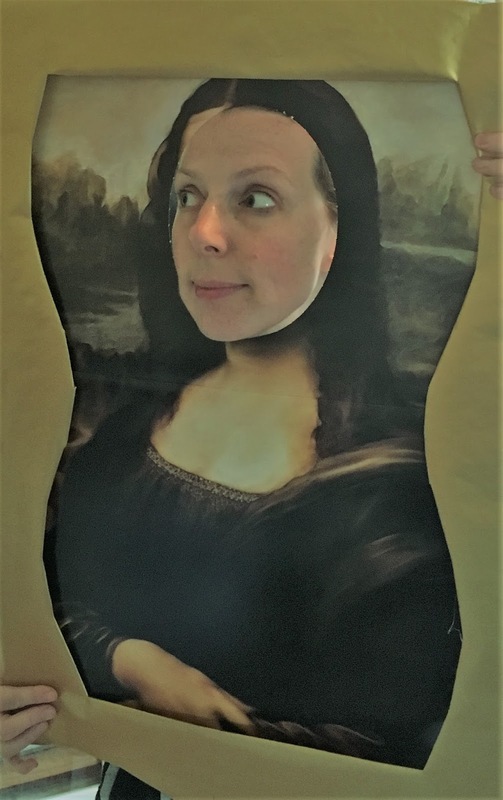 She has created some incredible work! First graders used images from iPads to observe and capture their creatures in pencil. 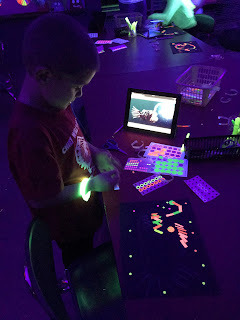 1st graders then used fluorescent stickers to bring their sea creatures to life! 2nd graders explored this concept through the magic of spin art - and the LOVED it! They explored how centrifugal force works by examining amusement park rides, cooking techniques, and a spin on an experiment I saw on Mr. Wizard's World. 2nd grade artists learned that the paint will be forced away from the center of the spinner. 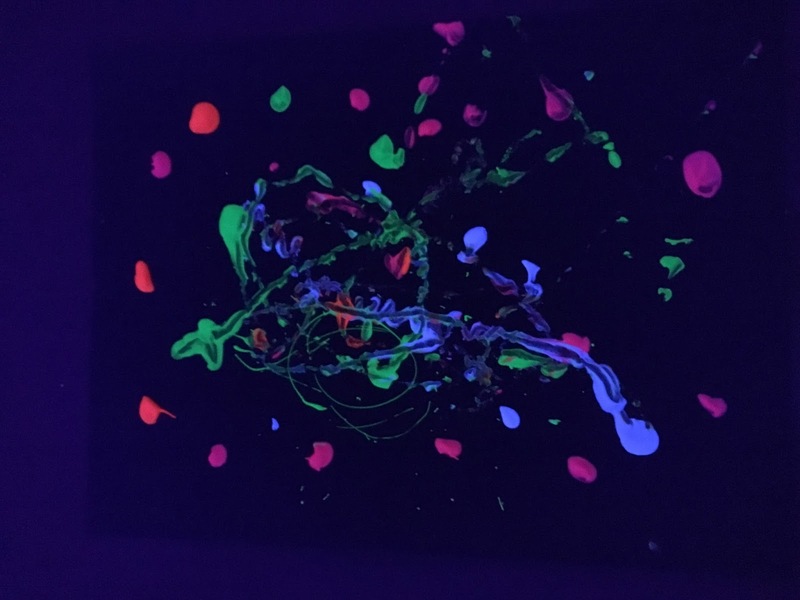 Put that together with glow in the dark paint and you get an amazing splatter of art! These Fuller Meadow Artists' had so much fun this week. It will definitely be an annual event!